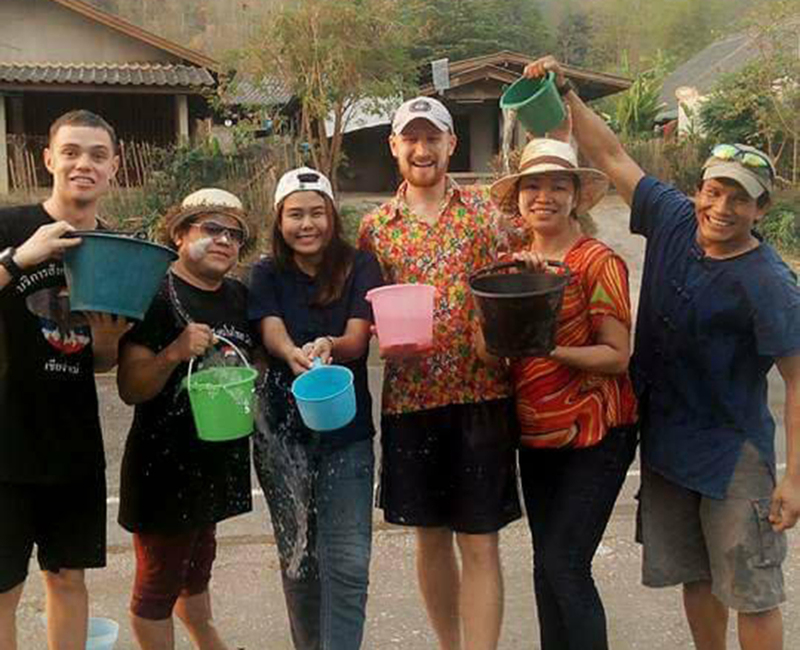 Songkran is a very special time in Thailand. It traditionally falls on the 13th, 14th, and 15th of April, although these 3 days are normally stretched to cover the whole week. Songkran is the Thai New Year and therefore includes lots of celebration. This year we had two groups of students visiting us at the outdoor education centre. One group all the way from Haiphong, Vietnam, and another, that were a mix of both Thai and foreign students as part of a Rotary group tour. In 2011 the Songkran festivities made it into the Guinness Book of World Records as the world’s largest water gun fight. The Rotary group knew this from their experience in Chiang Mai before they came to visit us, and they came prepared with their own water guns. This giant water fight of a festival began because it is the time of year that worshippers would go to temples to wash the Buddha images with water containing scented flowers. The visitors to the temple would then keep the water and take it home to pour on their loved ones, as the belief was that the water was now blessed. Nowadays as well as visiting the temples, people line the streets outside their homes and businesses with huge containers of water to splash anybody and anything that goes past. 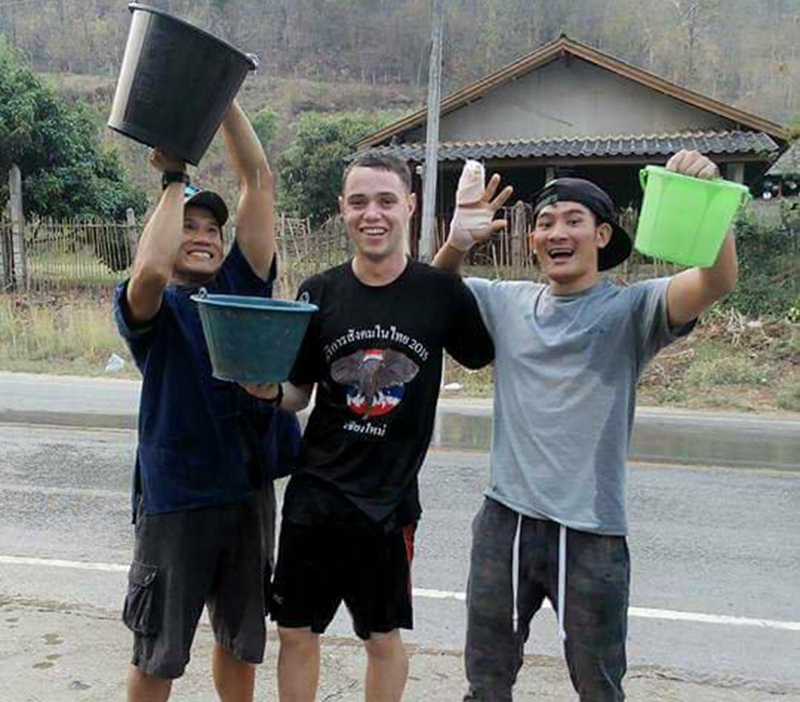 They will soak cars, buses, motorbikes, and pedestrians alike, which is what the QSI Haiphong School soon found out when they began their cooking class. As part of their cooking lesson, students at MRVR are taught basic Thai phrases before being given a bit of money and travelling in the back of a Songtaew (a local vehicle, converted from a pickup truck and used as a taxi) to the local market to buy the ingredients before then returning and cooking the delicious meals. The Songtaews, in this area, are bright yellow vehicles with long windows and an open back, and when it is full of innocent students, it becomes a prime target to any reveller flinging water. It was a fantastic introduction to Thai culture. By the time the group had returned to the Outdoor Centre, they looked like they had been on one of our kayaking trips not a short car journey to the local market. The Rotary group did go on a kayaking trip though. This involved a few practice drills in the pond at the resort before taking the open-top double kayaks down the Maekok River. Songkran even added a fun element to this excursion too. Due to it being a water festival, (and one of the hottest times of the year) people flock to any large bodies of water such as lakes and reservoirs, seas and oceans, and rivers. The Maekok is one of the larger rivers in the local area and even flows into the Mekong River (one of the world’s top 15 largest rivers), and so naturally attracts families from the local area, especially the hill tribes up in the mountains. 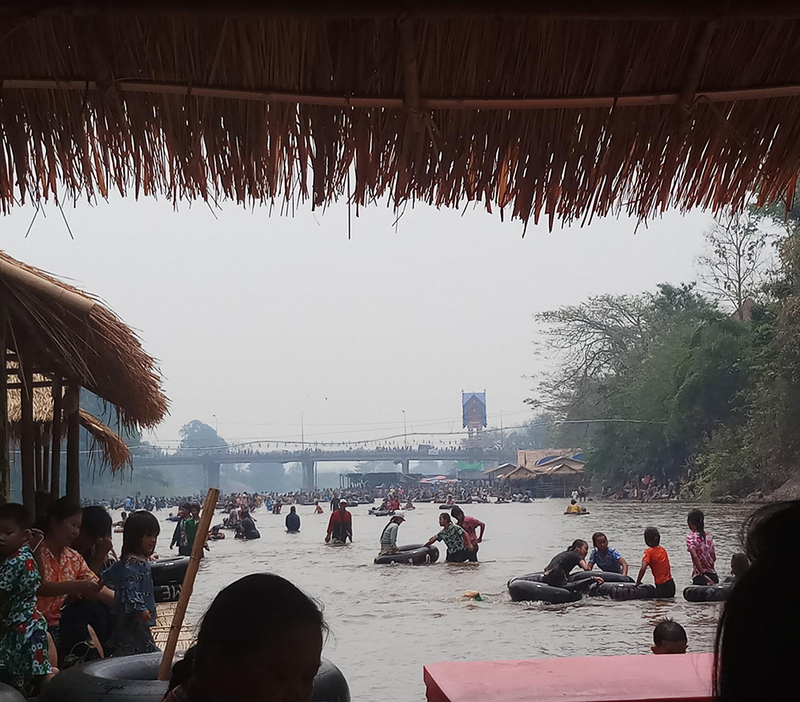 This was very obvious near the end of the journey at the groups exit point, a normally quiet and subdued area at the bottom of a temple topped hill, but during Songkran a large beach appears and people set up bamboo shops jutting out into the river, providing food, drink and music. There are slides into the river and countless inflatable rings. When the swimmers see the unusual site of a procession of kayaks floating past, they can’t help but soak them. Songkran is a great time to visit Thailand and I highly recommend a visit. Happy New Year, Sawadee Pee Mai.